The Asian audiophiles and music lovers enthusiasm for JMF Audio has motivated the publishing of numerous pages of presentation, spread over several months. 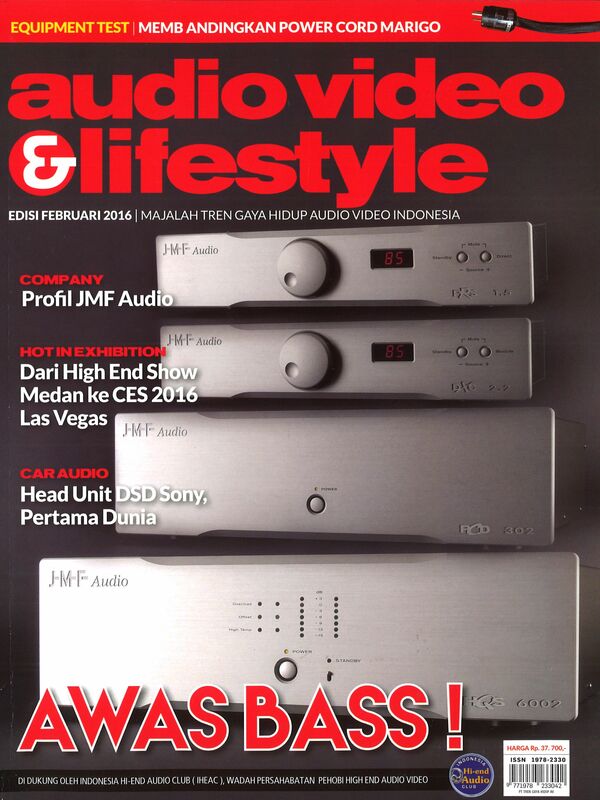 In the 2016 February issue, the brand and some elements of the product range are presented in exclusivity (HQS6002 power amplifier, PRS1.5 preamplifier, PCD302 power line conditioner...). In the March issue, the brand history is summarized and the article is illustrated with the delivery of the first DMT3.7 transport/streamer. The subject being wide, it will be developed over the coming months. We are thankful to the JMF Audio representative Jonathan Marthen, to our clients and numerous passionate music lovers in Indonesia, Malaysia and Singapore.